Curanderismo is a traditional holistic medicine because it views the person as body, mind, heart and spirit. It also takes into consideration the role of the family, community and nature in bringing the person back into balance and harmony. This medicine utilizes the platica (the heart-to-heart relationship between the curandero and the person he serves), the limpia (a soul-cleansing rite that helps to release grief and trauma) and soul retrieval (a ritual which reintegrates the “lost” soul). 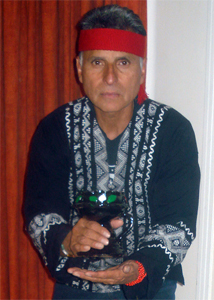 Wm Guillermo is an initiated curandero who completed his apprenticeship under the tutelage of Elena Avila, RN, MSW curandera and international practitioner of integrative medicine. She is the author of Woman Who Glows in the Dark, A Curandera Reveals Traditional Aztec Secrets of Physical and Spiritual Health. "A curandero (or curandera for a female) is a traditional folk healer or shaman in Hispanic America, who is dedicated to curing physical or spiritual illnesses. The Role of a curandero or curandera can also incorporate the roles of psychiatrist along with that of doctor and healer. Many curanderos use Catholic elements, such as holy water and saint pictures. The use of Catholic prayers and other borrowings and lendings are often found alongside native religious elements. They are often respected members of the community, being highly religious and spiritual. Literally translated as "healer" from Spanish. Their powers are considered supernatural, as it is commonly believed that many illnesses are caused by lost malevolent spirits, a lesson from God, or curse. There are different types of curanderos. “Yerberos” are primarily herbalists. “Hueseros and Sobaderos” are bone/muscle therapists who emphasize physical ailments. "Parteras" are midwives." Among the curandero's tools, the most important is the heart. 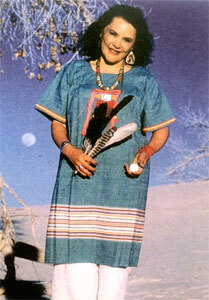 The tangible implements are symbols of the healer's spiritual faith and relationship to Mother Earth. There is a great awareness of ceremony, honoring nature and making offerings of gratitude. Natural elements are brought into physical healing with the use of feathers, rocks, crystals and wood. 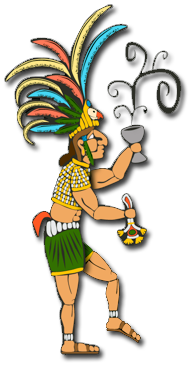 For limpias, sage, cedar, juniper or copal (resin) are burned to make purifying smoke. Naturally fertilized or organic eggs, salt, cornmeal, water and soil are also used for limpias. Alters contain symbols of the four elements -- earth, water, fire and air -- and other articles illustrative of forces called upon to assist in healing. Candles with pictures of saints, religious statues, flowers and herbs are included. Everything in the curandero's healing practice and lifestyle is infused with a relationship to nature and God.